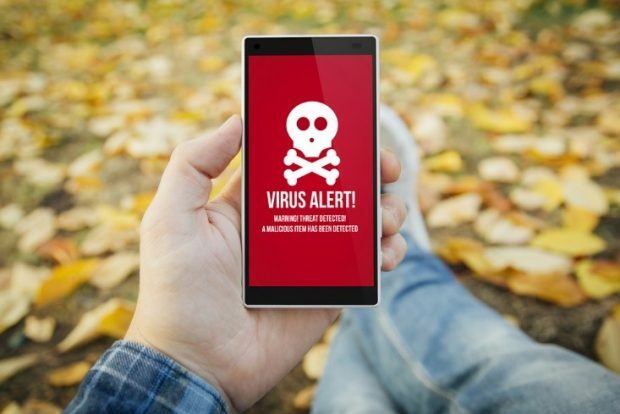 Is your smart phone vulnerable to malware? Yes, it is. And with so many of us storing so much of our personal information on our phones, that’s a big deal. A single malicious app could wreak havoc on your finances and destroy your life. Often, malware gets onto phones when users unknowingly download malicious apps, and apps in the Google Play Store aren’t always safe. While Google does make heroic efforts to keep malicious apps out of the Play store, they do sometimes find their way in and can be downloaded thousands of times before being booted. That means you, as a user, need to know how to vet an app to make sure it’s safe before you install it on your Android device. You can do that by avoiding third-party app stores, keeping your eyes peeled for scams and fakes and viewing app permissions with a critical eye before installing. Yes, we know we just said that malicious apps can sometimes appear in the Google Play Store, but it’s still the safest source for Android apps. It’s true that Google Play Store isn’t as safe as the Apple App Store, so if you’re running an iPhone or a Mac and you stick to apps from the App Store, you may need nothing more than an occasional run of the Dr. Cleaner Mac app to keep your device in tip-top shape. But the relative insecurity of the Google Play Store isn’t because Android devices or apps are inferior; it’s because Androids are designed to allow users to more easily install third-party apps. That’s good news for users, who have a greater variety of options for apps to install on their devices, and for third-party developers, who can reach a larger market with their creations. As a result, Google tries to minimize the red tape involved in uploading apps to the Play Store. That creates a more open environment for developers to create and market their wares, but it also makes it easier for malicious apps to slip in. But, Google is aware of this problem, and it takes steps to protect users with features like Google Play Protect, which is now baked in to every Android device. They also tend to do a good job of taking malicious apps out of the Play Store quickly. However, you still need to be on the lookout for signs that an app is malicious. It’s often easy to spot a fake, scammy or malicious app before you install it – you just have to spend a few minutes doing your due diligence. Click on Learn More to get the information you need to vet the app. Then, Google the developer’s name; this should give you info like their website and the number of apps they have developed in the past. It may even give you warnings if the app has been shown to be fake or malicious. If the developer has a good reputation and has developed many apps, that’s a good sign. You should also check the date the app was published because many fake apps seek to mimic legitimate popular apps. If you’re trying to download a popular app that’s been out for years, but the app info says the app was published two months ago, that’s a huge red flag. Just don’t get publication dates confused with last update information. It’s a good idea to read reviews other users have left. A fake app may have only a few glowing reviews, while a legitimate app tends to have many reviews ranging across the spectrum. However, users who have been scammed previously by an app may come back and leave a review to warn others. Other signs that an app is dangerous include bad grammar in the description or in the app itself. Many malicious apps are made hurriedly or by developers who live in parts of the world where English isn’t a first language. If an app is deeply discounted or offers other too-good-to-be-true financial benefits, that’s another sign that it’s a scam. Lots of apps, even legitimate ones, ask for permissions that they don’t necessarily need, like access to your contacts, call log or location. Before you install any app, read the list of permissions it wants carefully and decide if you really want to give an app access to your camera and microphone, for example. It’s possible that the app might need those permissions to do what it purports to do; Instagram, for instance, isn’t going to do you much good without camera permissions. But, as the Cambridge Analytica scandal has taught us, even legitimate-seeming apps and services can spy on users to collect their information to sell to advertisers, or worse. Remember that as you consider whether or not to install a given app. 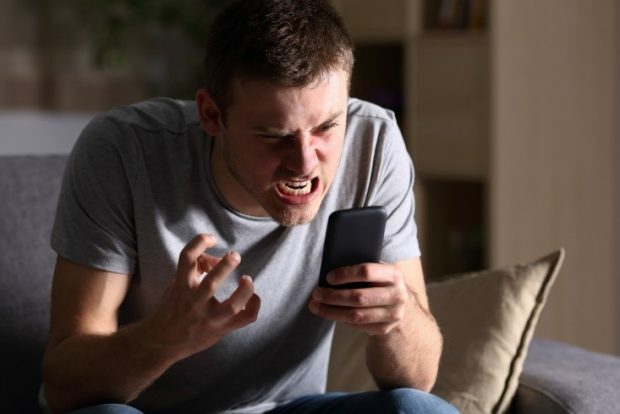 A malicious app on your smart phone or tablet can access your financial information, email, social media profiles, contacts and other sensitive information, so it pays to be cautious. Know the signs of a malicious or fake app, so you can protect yourself from hackers and criminals.